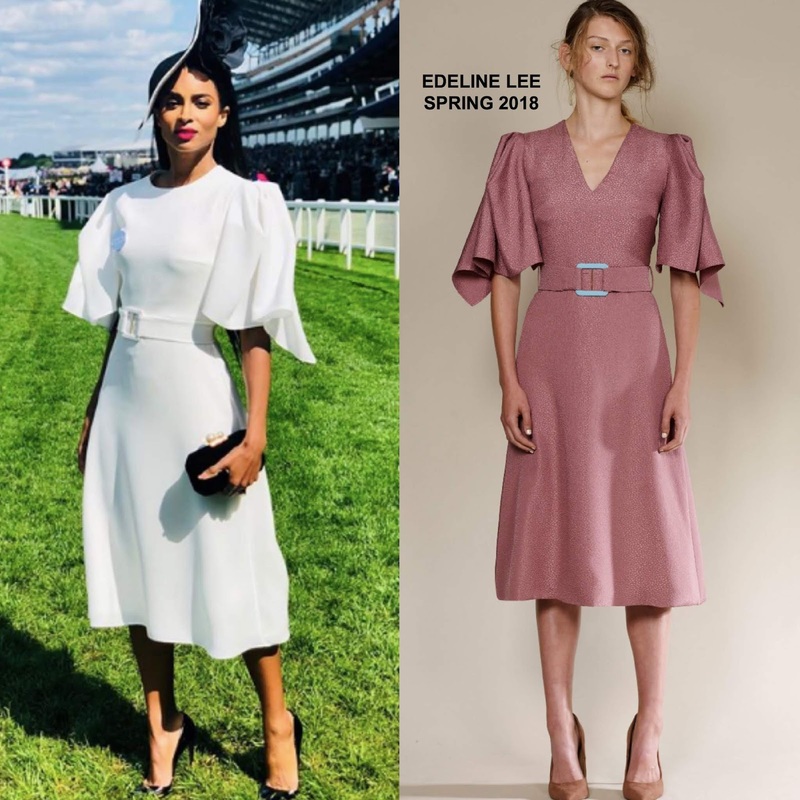 Following her attendance at the V&A party, Ciara made her way to the Royal Ascot horse racing event yesterday(June 21st) and while there, she posted her look on her instagram page. She posed for the gram rocking the EDELINE LEE SPRING 2018 'Mabel' knee length dress in white which featured structured, draped shoulders and a belted waist. Cici is wearing a custom version of the look book dress which featured a v-neckline. While I really like both version, Cici wowed in the white and the PHILIP TREACY hat added to the elegant appeal of her look. She finished up with a red lip, a black clutch and black pumps. Are you loving Cici's instagram style as well?